Watch the sea & have your coffee at the same time. 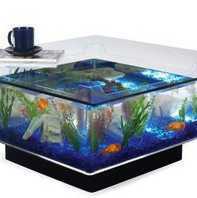 Aquarium Coffee Table, bring nature inside. Wow.